After letting people know that they owe Google $1500 for the honor of getting Google Glass early, Google busted the ol' elementary school take back on them. 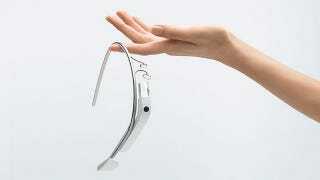 Meaning, some of those "winners" won't be able to get Google Glass because they've been disqualified by Google. I wonder who those people are. With #ifihadglass we set out to find a truly diverse group of Explorers, and that's certainly what we've gotten. We need honest feedback from people who are not only enthralled and excited by Glass, but also people who are skeptical and critical of it. That said, it's become clear that a few applications that don't comply with our terms have slipped through the cracks, and we're going to have to disqualify applications like these. As for the rest of you, please keep that feedback coming — it's all in the Explorer program spirit!